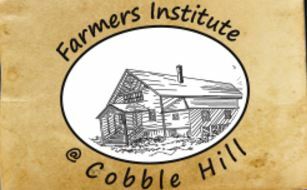 We own, maintain and operate the Cobble Hill Hall, Youth Hall, Stu Armour Building and more than 5 acres of land in the heart of the Cobble Hill Village. We are known for staging the Cobble Hill Fair but we also sponsor or host a large number of community events. To provide just a few examples, we sponsor the young people who are 4-H members by providing meeting spaces and a location for them to practice everything from animal husbandry skills, to photography to building bicycles. We are also home to the South Cowichan Seniors. We provide the Cobble Hill Hall free to this group of very dedicated volunteers who prepare and serve hot nutritious meals to Seniors on the second and fourth Monday of every month. Over 140 Seniors now enjoy this social occasion where they connect with friends old and new. With some extra community help, South Cowichan Seniors welcomed more than 230 at their Christmas luncheon. Amongst a variety of other activities, we also sponsor a Christmas Concert early in December with all of the proceeds going to the CMS Food Bank. This represents just a few of the many community sponsorships the Farmers Institute is involved in and supports.